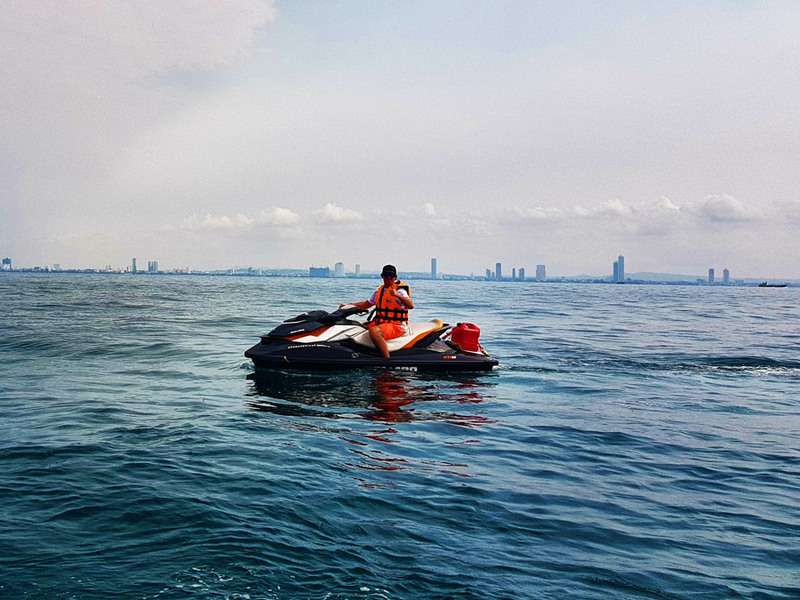 This is without doubt the most exhilarating and sensational full day trip Pattaya City has to offer! 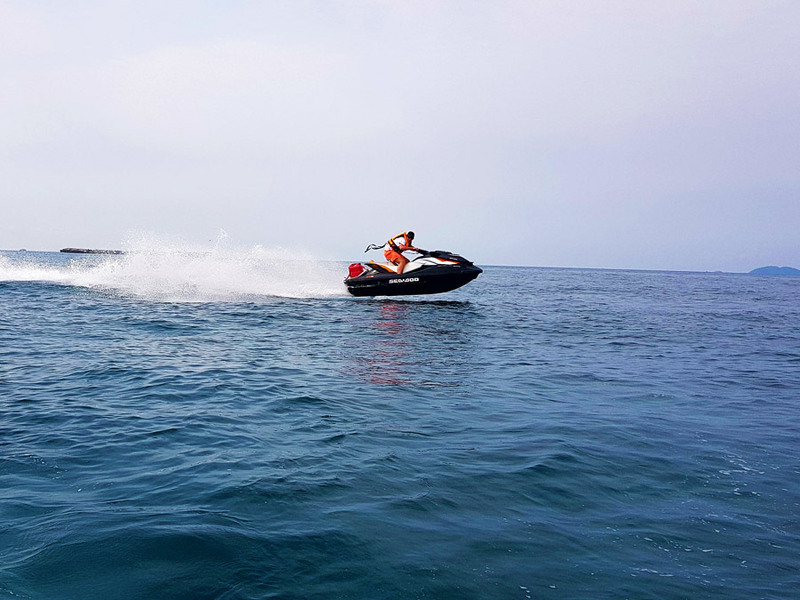 If you feeling really adventurous come and try one of our amazing full day Guided Jet Ski safari tours! 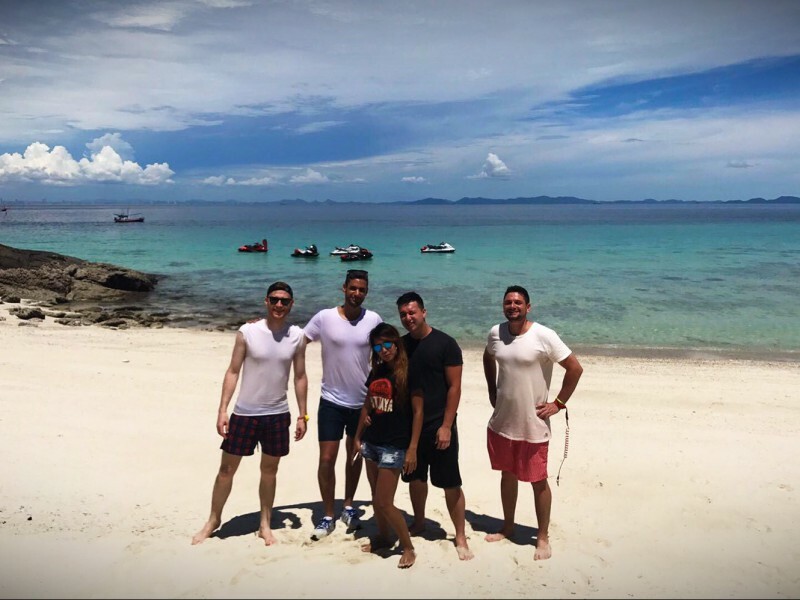 Customers often say that our amazing self drive guided island hopping tours are the best thing they have done all holiday and some even say it was the best thing they have ever done their entire lives!. 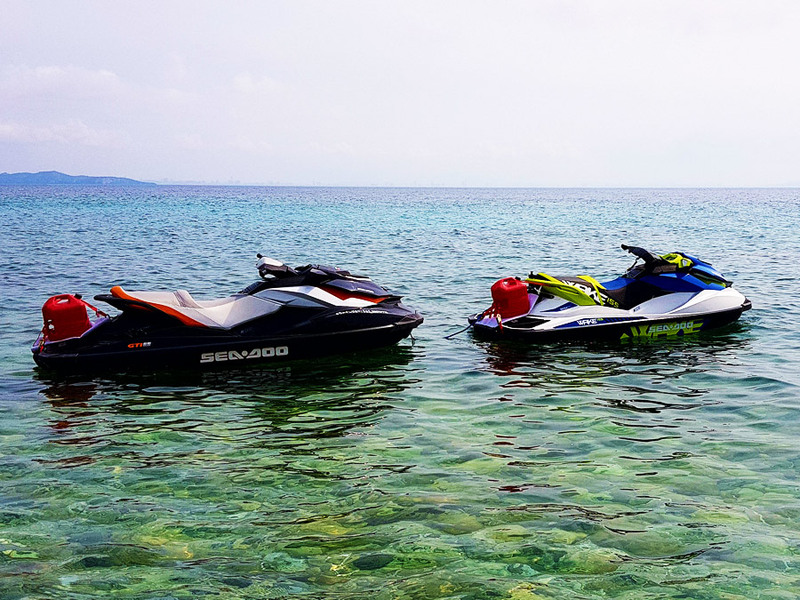 Visiting many exotic deserted tropical islands all in one incredible day whilst riding your own seriously high powered Jet Ski, you blast over the waves, guided throughout the tour by the lead Jet Ski ridden by our expert Jet Ski Safari guide. Our pro Jet Ski instructor will be on hand to assist you and your party throughout this truly epic day. 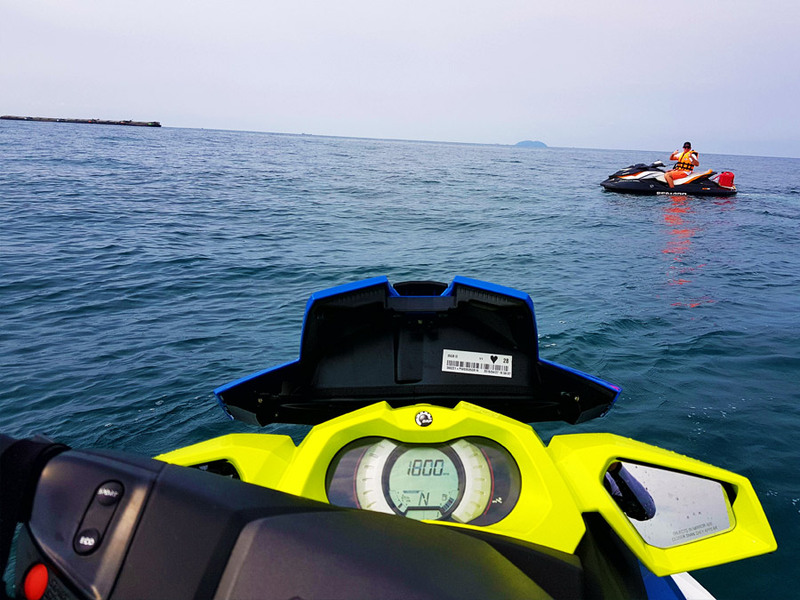 You will ride only top of the range lightening fast Jet Ski's when exploring the Pattaya archipelago with us. 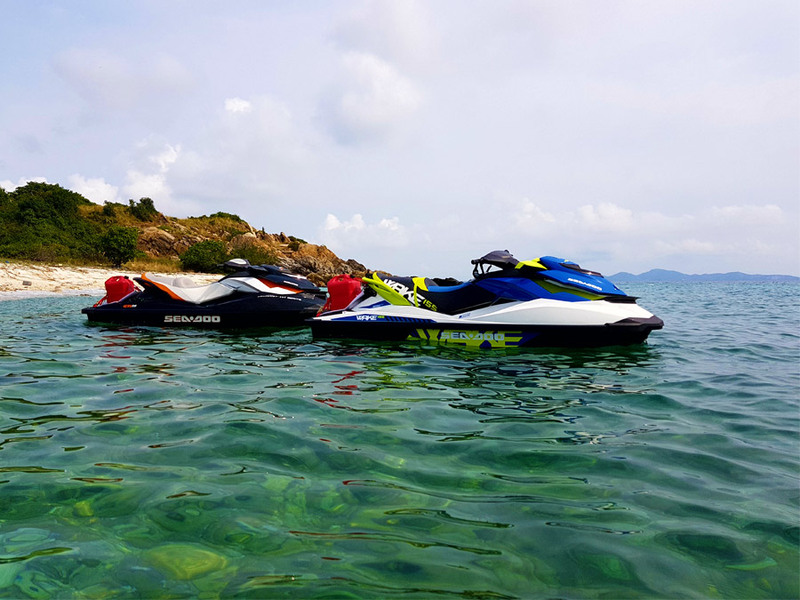 These are Yamaha fx cruiser 1,800cc and Seadoo 1500cc - 160 HP, 3 seater Jet Skis which cost almost half a million baht each. Our ski’s extra comfy large seats are ideal for all day touring. Absolutely no previous Jet Ski driving experience needed to enjoy this epic experience as full tuition will be provided. We will adapt the exact routes to suit the riders experience and skill levels in order for you to get the maximum pleasure out of the day. If you get a bit tired then we simply modify the routes, add some more snorkeling and beach exploration! If your full of energy then its pedal to the metal! All you should bring with you is sun protection cream to your required strength and a spirit for adventure! It’s also recommended to wear a loose dri fit T Shirt or long sleeve shirt and shorts to protect yourself from the sun. 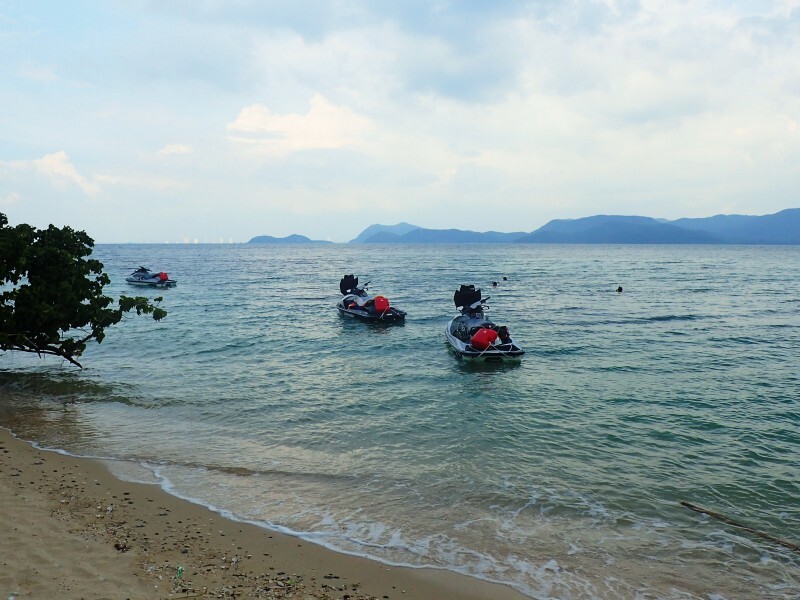 10.30am: We ride to Koh Man Wichai Island where we will explore the stunning back to back beaches. 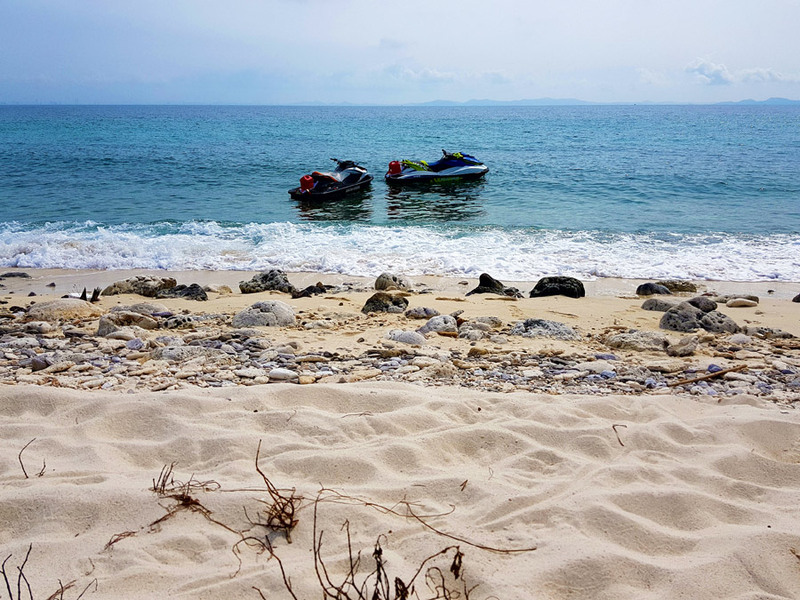 12 pm: It is then off to Rin Island which has a glorious white baby powder sand beach and a vibrant coral reef that offers fantastic snorkeling. 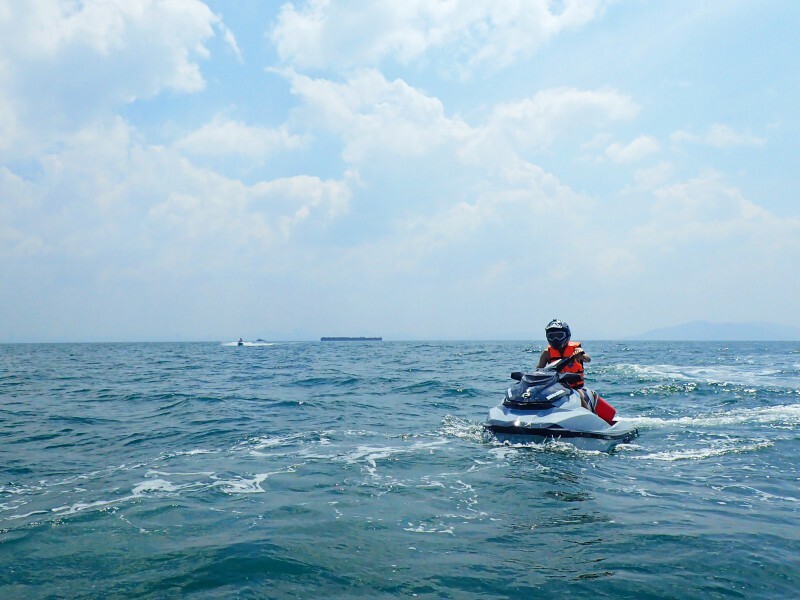 We have masks and snorkels in our Jet Ski’s. 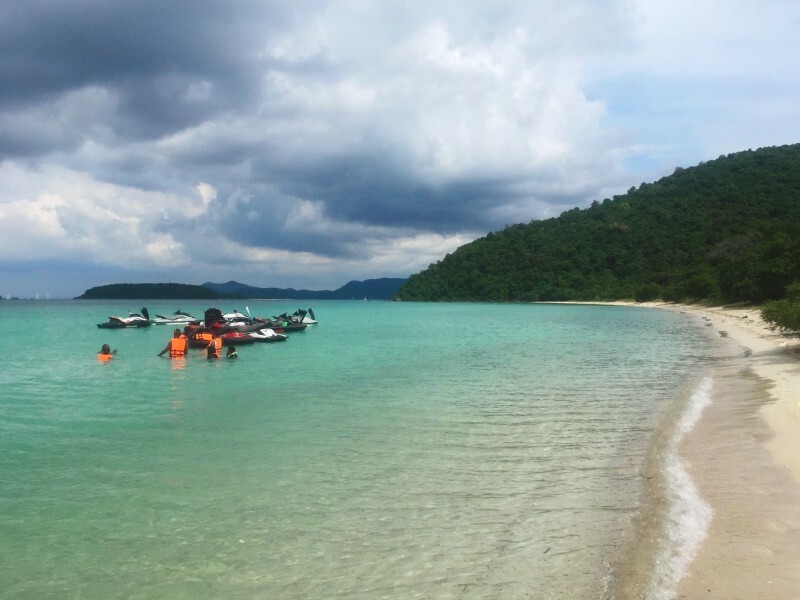 1 pm: Ride to Koh Khram Island where we will pass many beaches on this glorious island. 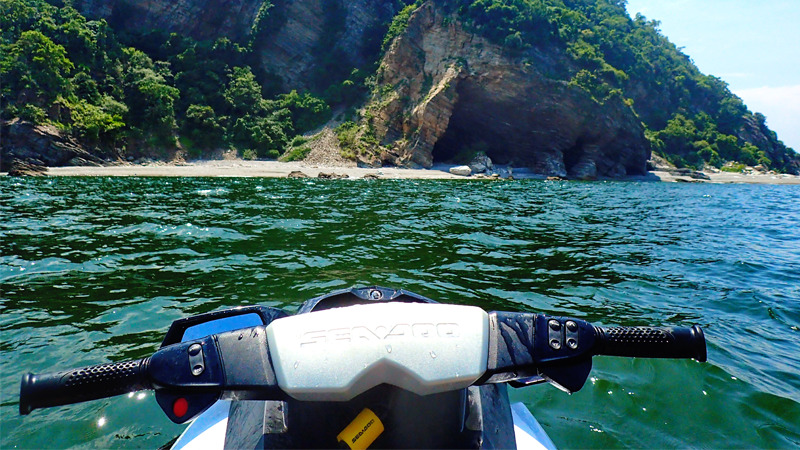 We will enter an enclosed bay that offers lake like flat water where you can really max out the Jet Ski’s to their top speeds with ease. 2 pm: Whizz off to Haad Sai Kaew Navy beach for a late lunch passing the beautiful Koh Khram Noi island. The lunch provided is a fantastic mixture of freshly cooked Thai and Seafood dishes which the group will share. 4 pm: Cruise to Monkey Island and visit the magical swimming wild monkeys. Cruise back to Ocean marina Yacht club. 4.30pm - 5 pm: Arrive back at Ocean marina Yacht club with a massive feeling of accomplishment that you have achieved something seriously special and truly unique. 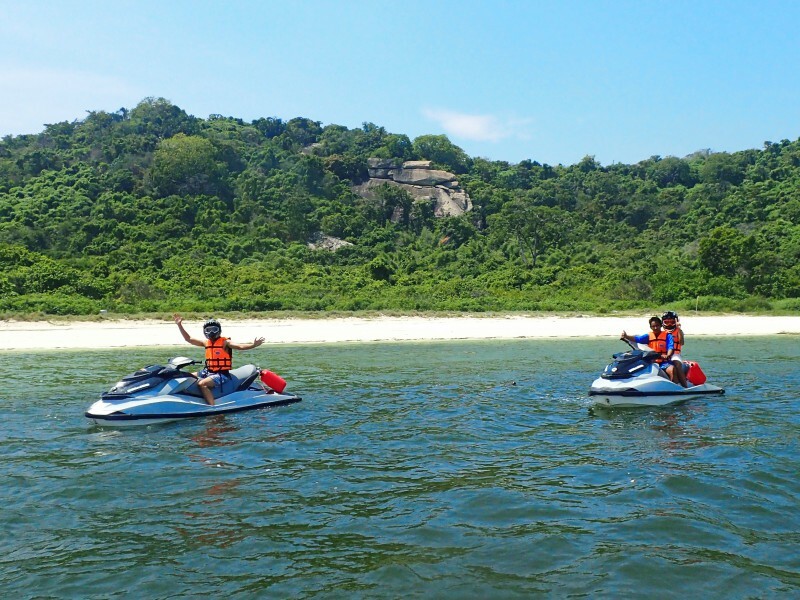 Experience 5 Spectacular Islands along with the Haad Sai Kaew Navy Beach. 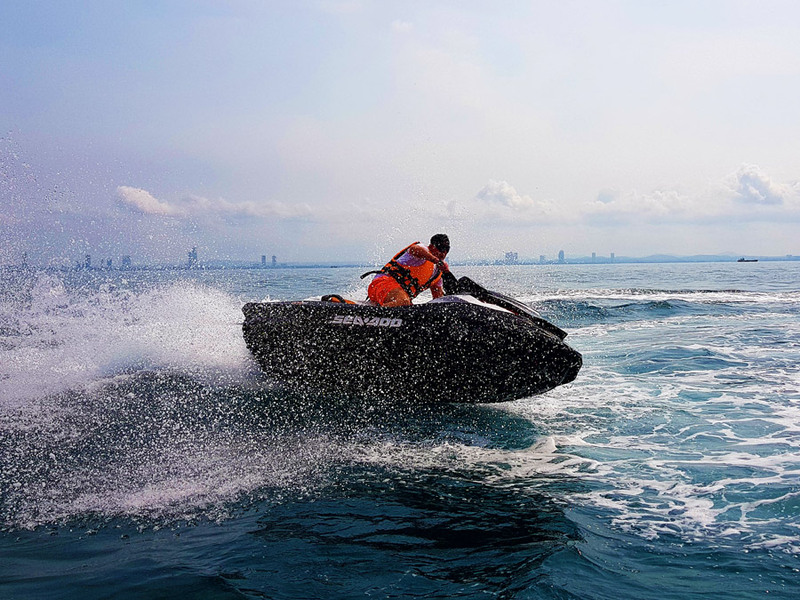 Top of the Range Jet Ski’s all with intelligent braking systems and reverse. All fuels including any and all refueling. Delicious Thai and Seafood lunch at the Navy Beach. Soft Drinks, water, cookies and crisps snacks throughout the day. Life Jackets, gloves, goggles, sunscreen, waterproof valuables bags, Full face Mask / Snorkel. Prestigious Ocean Marina Yacht Club guest tickets, Navy and monkey Island Beach Fees. 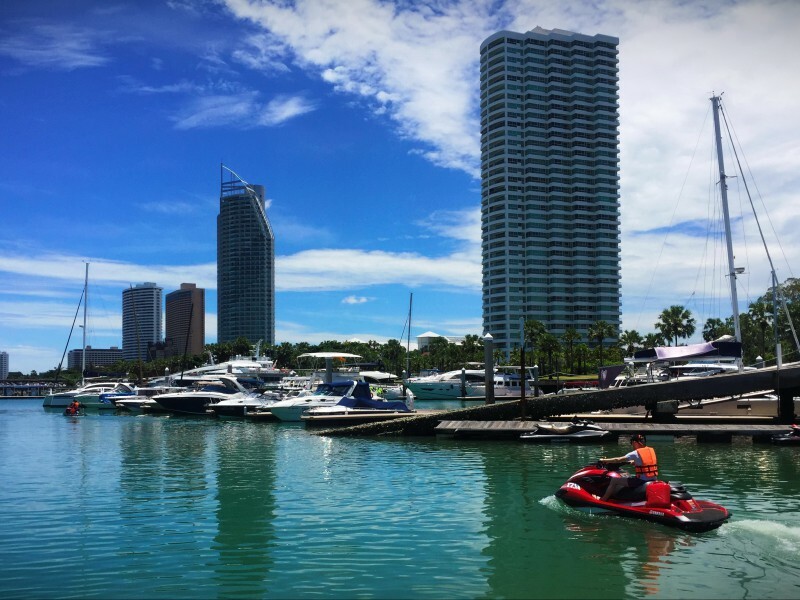 Pattaya Yacht Charters Co., ltd comprehensive personal injury accident insurance. 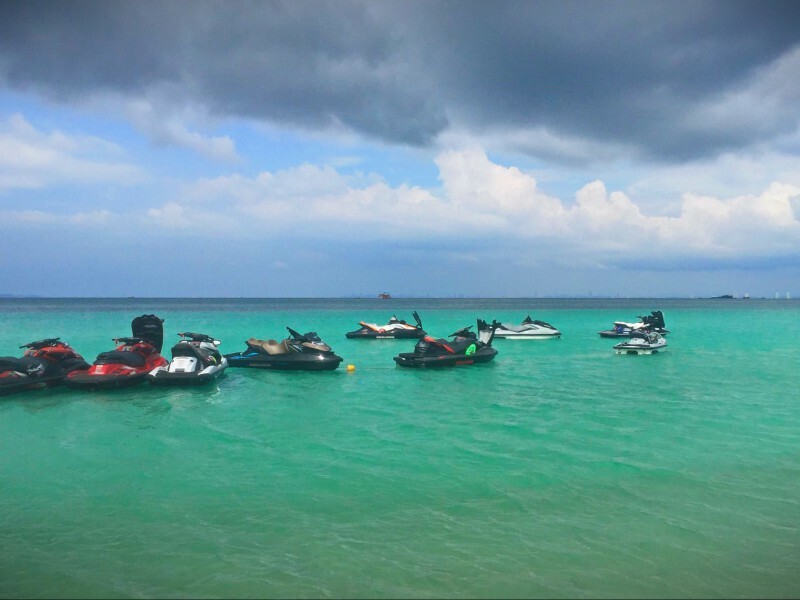 Fantastic fluent English speaking exceptionally entertaining pro Jet Ski guide. 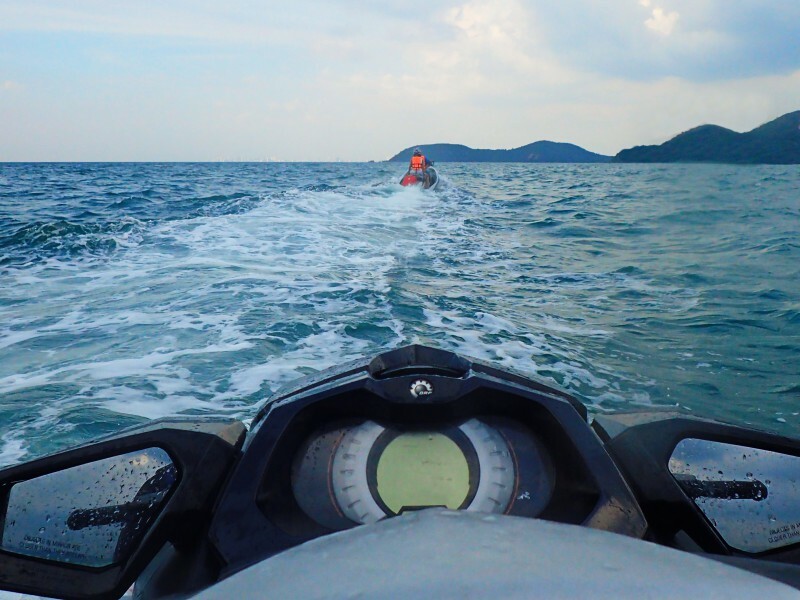 Damage to Jet Ski’s caused by rider accidents. Please note: We are a European managed company and we will not charge you for any damage that you have not caused. Fairness is our policy! Fun is our priority! 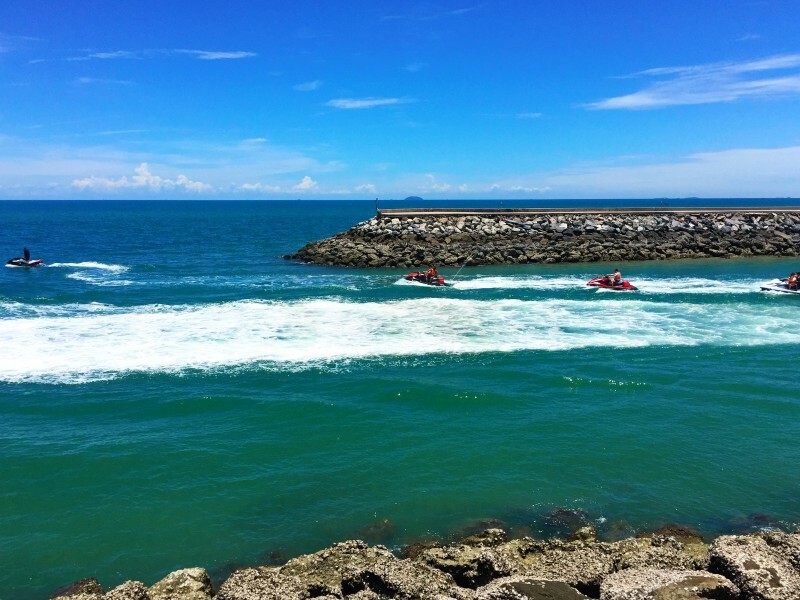 If customers listen and follow our Guides instructions our Jet Ski tours are 100% safe!